18.05.2017 (Hvino News). 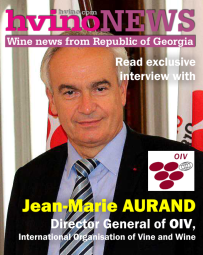 The special guest of Hvino News today is Mr. Philippe LESPY, CEO at Georgian Wines and Spirits company (GWS). He kindly agreed to answer our questions. Hvino News: We suggest starting the interview with your company’s brief outline. What is the GWS history? What are the most recent achievements? Philippe Lespy: GWS is one of the most famous wineries in Georgia that was founded in 1993 in Telavi, Achinebuli on the base of the famous winery “Telavi2“, created in 1976. For me, GWS has been the first modern winery which bottled sustainable quality wines, the first modern winery who planted their own vineyards and used modern production tools. GWS is the 3rd largest wines and spirits group in Georgia and bases its reputation on quality and integrity. Since 2013, GWS has restarted a production of quality wines. By the end of 2017, GWS will be able to produce 3 million bottles of high quality wines from its own vineyards (still and sparkling wines), and chacha. It can already reach a capacity of processing 6 million of bottles overall. By the end of 2017, the winery will operate 280 hectares of red grape varietals and 120 hectares of white grape varietals. This will combine traditional Georgian (85%) and international varietals (15%). In the near future, GWS will present its new style of organic wines from its own vineyards, including qvevris (traditional amphora fermentation). The future of GWS is to continue the job started in 2013. Our philosophy is to become an estate, producing wines exclusively with our own grapes, continuing to improve our quality, to become the main player in bio-validated certification. 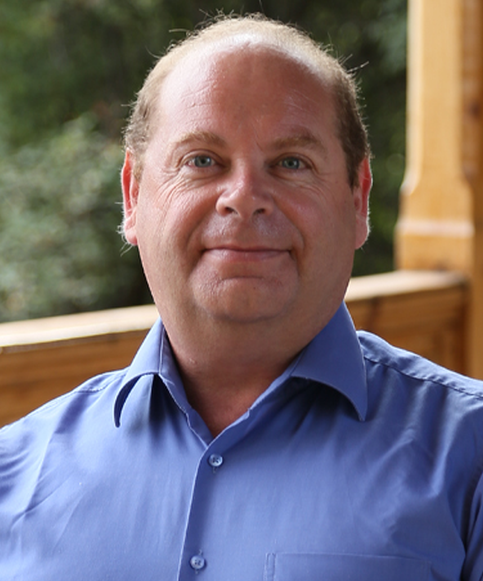 Hvino News: How a person becomes a professional leader in wine industry? Tell us about yourself, your background. Are you from a winemaker’s family? Did you always want to become a winemaker, or was interested in other career? Philippe Lespy: First of all, I am son of a peasant in south of France. Since I was 9 or 10 years old, I have been with my father in our fields and especially our own vineyards. Honestly, I was more interested by driving our tractors at this age. I was too young to appreciate the physiology of the vines. It came later and has been definitely confirmed by my studies at Bordeaux University. I had the great honor to receive lessons from Pascal Ribero-Gayon and Emile Peynaud (his last year as professor in Institut d’Oenologie de Bordeaux), or Jacques Bouard and Jacques Bessis in Faculté des Sciences de Bordeaux. My mentor, Mr. Bouard drove me to obtain my Ph.D. degree. In parallel, I started my professional life as basic worker cleaning tanks and wine pumps at Château Pape Clément. Then, step by step, year after year, I became more and more professional. I had opportunity to become biologist in Bordeaux and to work in other types of production (corn, fruits), but vineyards and wine are my passion. Hvino News: Some important highlights of your professional career or education, especially related to wine business, would be interesting to hear. Philippe Lespy: Every creative person, I think, is always happier about the last creation. It is the case with me. I am proud about the wines produced by GWS today. 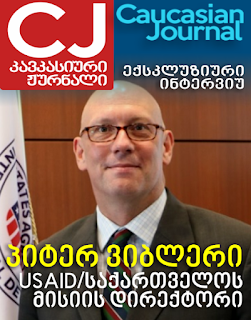 I started with the existing Old Tbilisi and Tamada, very famous abroad but not well understood in our too conservative Georgia. We started to clean these two brands and, step by step, perception is changing. 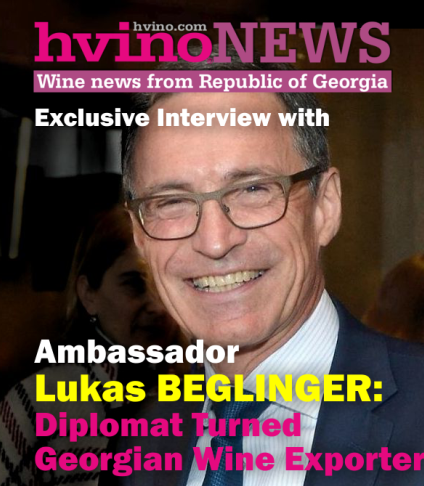 Hvino News: You live and work in Georgia. Can you name three most important (interesting, or funny) episodes from your experience here? Hvino News: That's really a remarkable episode! There’s a common opinion that in Georgia wine is more than a business, since it occupies a special role in history and mentality of the nation. Do you agree? Philippe Lespy: To be a wine producer, starting with vineyards to finish in front of a potential customer is not an easy life. But, of course, here in Georgia, wine has a special place. I am doing sometimes a toast during supras about the four roots of Georgia. For me the second root is about your vineyards and, by extension, wine history. Hvino News: The future of Georgia’s wine-making: Is it in traditional ancient technology, or in adopting international standards? First, we have this unique ancestral tradition of qvevris (1,5% of total production). This tradition must be protected, it touches the history and subconsciousness of the Georgians. When saying "protection", I think about the qvevri school in Ikalto initiated by Alaverdi Monastery, I think about regularity in quality of the production which has to be controlled. I think about protection of the "qvevri" name. To be part of the cultural heritage of UNESCO is a great recognition. 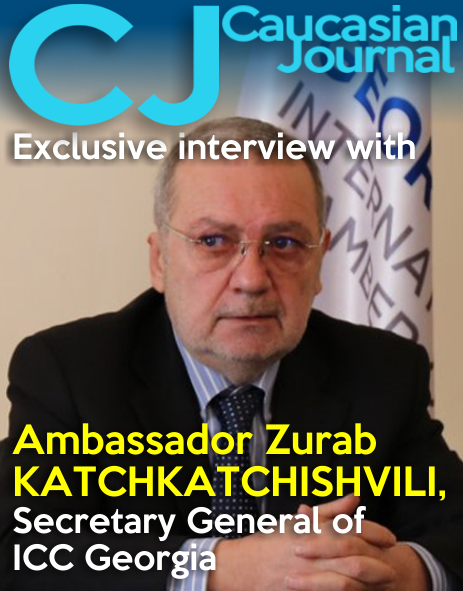 But it is not enough: Georgia is motherland of qvevris but does not write a book of general rules to obtain the qvevris appellation (were we can list ancient techniques and tradition). Today we see confusion between qvevris, organic, bio, natural wines. Secondly, we have a panel of modern wineries, efficient, qualitative (98% of the production). Unfortunately and very wrongly, these wineries are considered as massive producers showing little interest for quality. It is not the case. 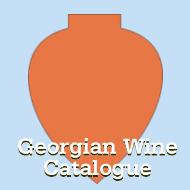 The best wines of Georgia, the real wines of Georgia, the most typical wines of Georgia are produced inside these wineries. These wineries are producing qvevri wines as well. Hvino News: Some of your brands are related to arts – painting and music. Did you participate in their creation? What’s your view about connection between wine and art? Philippe Lespy: In our Marussia group, when a new product is created, every division and department is involved: sales team to share the requests of the markets, production to answer to the request, marketing to create design and labels and the brands. It is the case for our wines, vodka, and other alcohols produced by the group. Sometimes, it is production who initiates the process of creation. The connection between music and vineyards and wine, of course, has been established for a long time. “Shen Khar Venakhi” or “Gvino Kakhuro” are stunning examples or Georgian folkloric culture. And, more simply, when I am in our GWS vineyards, it is common to listen our workers singing. So the project VISMINO is just an extension of our reality. Hvino News: How VISMINO is doing as your last created brand? Philippe Lespy: Many thanks for the question. I have to say quite well. We started with 6 wines, 3 whites and 3 reds, and now we are extending the portfolio. VISMINO is today in more than 450 qualitative sales points and we are thinking to start commercialization abroad. 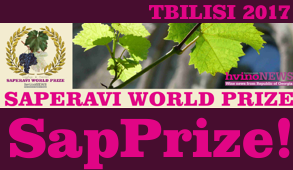 For example, VISMINO Grand Saperavi won the trophy of best red Georgian wine in London international contest 2 weeks ago, and gold medal at Concours Mondial de Bruxelles last week. Hvino News: An insight into future of GWS – what are your goals, strong points of your business, and possible threats to it? What is the GWS strategy for the next coming years? Philippe Lespy: Let’s answer here to the last 2 questions. GWS has the potential to become the main player of Georgia in term of wines production. It means recognized wines, established estate, modern and reliable company. With our 7 terroirs located in different regions of Georgia, with the knowledge of the team, with the support of Marussia group represented today in more than 30 countries, with our new constraints in grapes production (bio especially) and our precision in wine-making, we believe in our future. Hvino News: Thank you very much!